This may be on the only Christian-oriented blog site to include a beer commercial. But then again, I can’t answer for blogs from hipster pastors with their trendy beards. 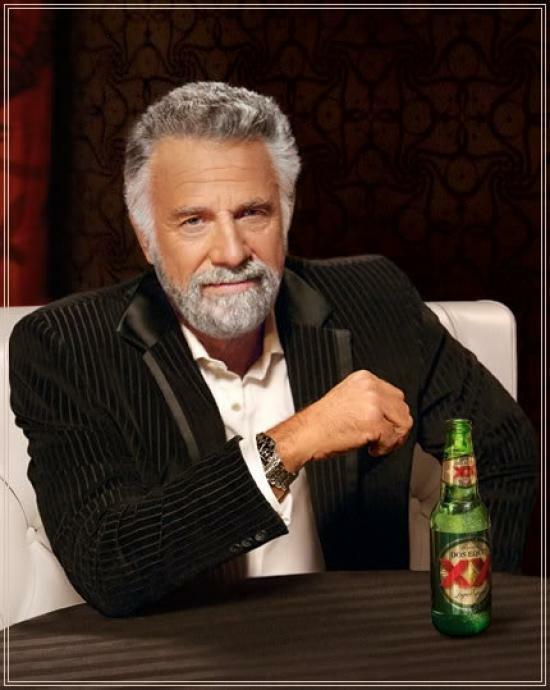 Beer drinker or not, you know who the most interesting man in the world is. For the past ten years, Dos Equis has run ads with actor Jonathan Goldsmith. What made this advertising campaign so popular are the outrageous exploits of the most interesting man in the world. If he was to pat you on the back, you would list it on your resume. When he drives a car off the lot, its price increases in value. Once a rattlesnake bit him, and after five days of excruciating pain, the snake finally died. Superman has pajamas with his logo. His signature won a Pulitzer. But now the most interesting man in the world will be no more. The beer company is going a different direction in their ads, so they sent him on a one-way mission to Mars. I hear that tag line two different ways, and either way it is the worst ad slogan ever. Stay thirsty, because this beer won’t quench your thirst. You’ve had a beer, but keep thinking you’re thirsty—and drink another. And another. And another until you become the most interesting drunk in the world. “Everyone who drinks this water will be thirsty again, but whoever drinks the water I give them will never thirst. Indeed, the water I give them will become in them a spring of water welling up to eternal life” (John 4:13-14). “Let anyone who is thirsty come to me and drink. Whoever believes in me, as Scripture has said, rivers of living water will flow from within them” (7:37-38). God has placed so many things in our lives to bring us joy and satisfaction, but it is all wrapped up in Him. Take everything else away, and I still have Jesus. And I am still satisfied. With nothing more than Jesus in my life, I am fully satisfied. Previous Previous post: This Week in History – What Does a Real American Look Like?